The capital of the Czech Republic, Prague, is an incredible city to explore. A city popular with the European mini-breaker, travellers seldom explore more of this versatile and vibrant country. Within a day trip from Prague you can explore castles, charming historic cities and more. Being at the heart of Eastern Europe, Prague provides the perfect base for travellers who want to cross borders and take a peak at Switzerland and even Austria. Once you have crossed Prague Castle, Charles Bridge and Mala Strana off you can escape the city and broaden your experience of the Czech Republic. Let’s explore the best day trips from Prague. Kutna Hora is one of the most popular tourist hotspots in the Czech Republic and it really is extraordinary. 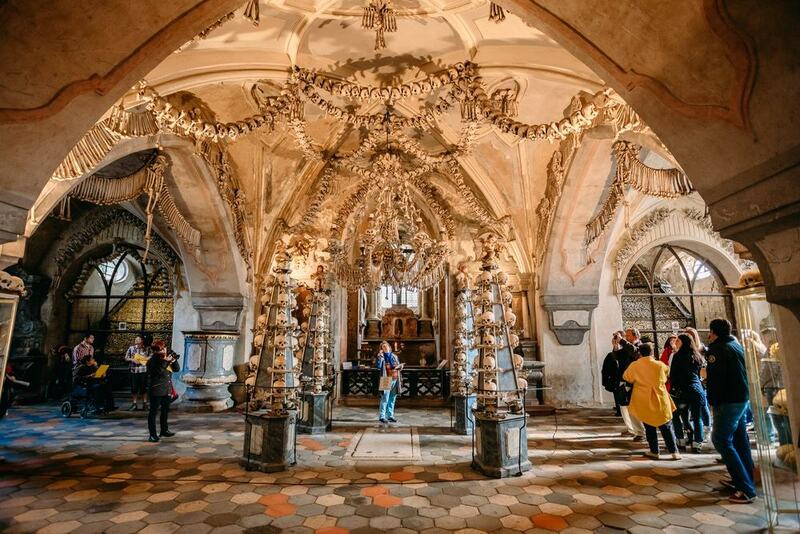 Kutna Hora itself is a collection of very interesting historic buildings but it is the Chapel of Bones that causes the most amount of intrigue for visitors. Also known as the Sedlec Ossuary the Chapel of Bones houses the skeletal remains of 40,000 to 70,000 people. The bones are used as ornate decoration within the chapel. Not for the faint hearted the Sedlec Ossuary is one of the most fascinating chapels in all the world. When in Kutna Hora ensure to make time to visit Hrádek Castle and Sankturin House too. Although harrowing and deeply upsetting for many a day trip to Terezín Concentration Camp is humbling and insightful. The Terezín Concentration Camp was used during the Nazi regime to house Jews before they were forced onto trains and transported to Auschwitz. The Terezín Concentration Camp tells a story of life and death. Those who were imprisoned here found innovative ways to keep their culture alive amidst the trauma. 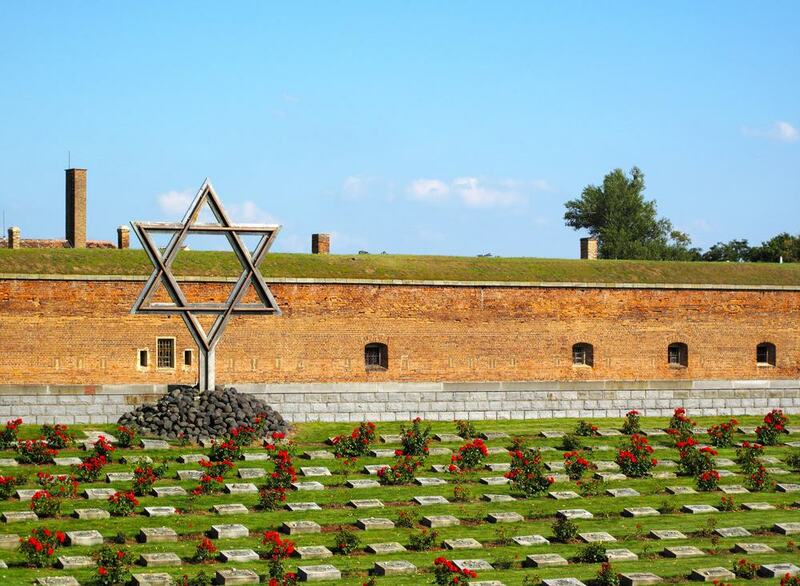 Terezín Concentration Camp is best understood when experienced with the assistance of a tour guide who can convey the story of this dreadful place in a respectful and informative way. 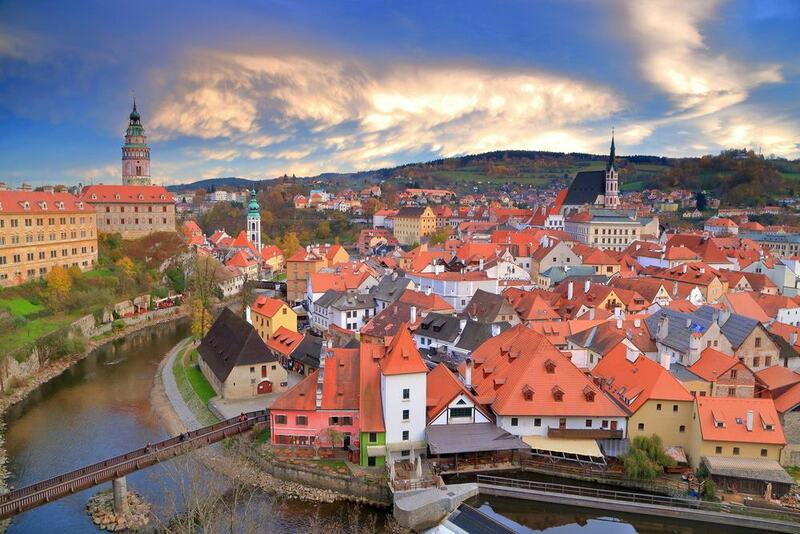 Magical and magnificent Český Krumlov is a UNESCO World Heritage Site that could easily provide the setting for a fairytale. Situated in South Bohemia, Český Krumlov lies either side of the Vltava River and the focal point is Český Krumlov Castle. Originally built in the 13th-Century the castle features influences from Gothic, Renaissance and baroque designers. The gardens span and impressive 11-hectares and are immaculately kept. Art lovers should find time to visit the Egon Schiele Art Centrum which houses contemporary pieces of art in a historic building. 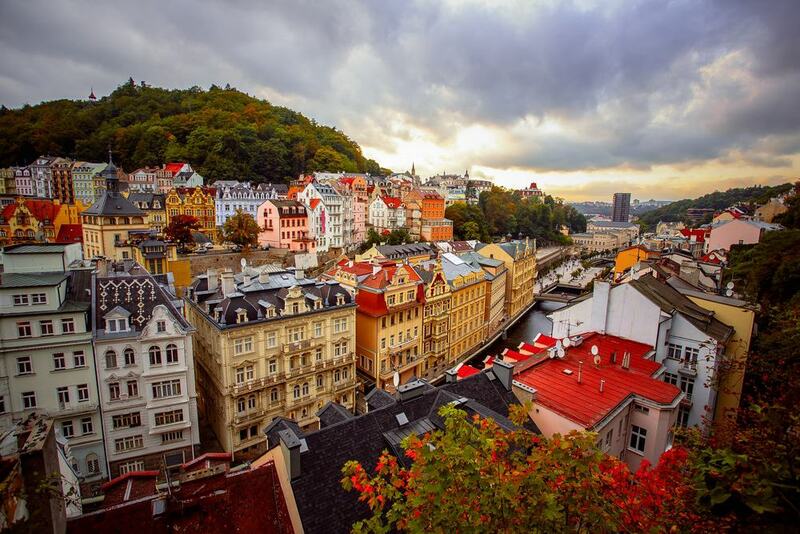 Quintessentially Czech Karlovy Vary is a popular spa town that lies 126 km from Prague city centre. With a wealth of Bohemian history and culture can be discovered here; starting with the Saint Peter and Paul Cathedral. With buildings that date back to the 14th-Century there many architectural gems to enjoy in Karlovy Vary. There are a number of amazing natural spas to explore, so remember to bring your swimming gear. Karlovy Vary is home to the greatest number curative hot springs in the world. České Budějovice is another of the Czech Republic’s cultural gems. 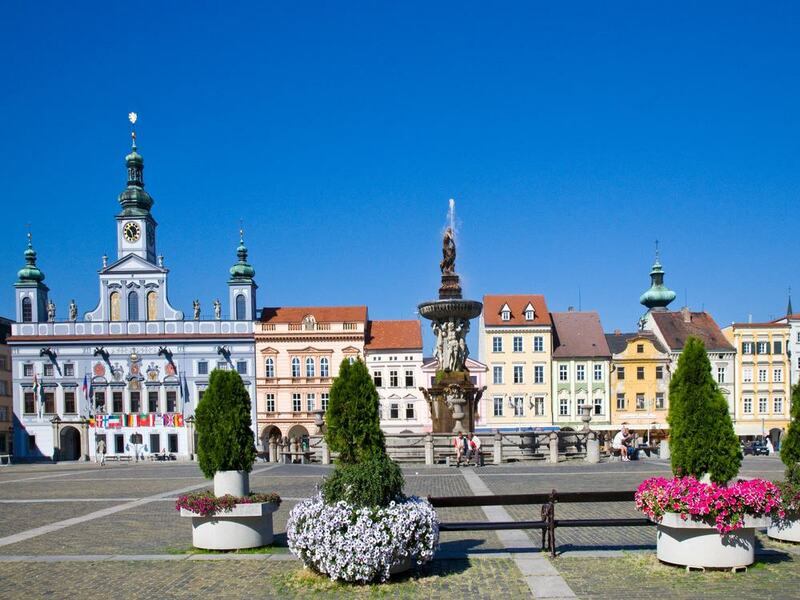 The largest city in South Bohemia there is a wealth of history to explore. The Black Tower is the most iconic landmark in the city that was built in the 1500s. České Budějovice is best known in the modern day at least, as the home of Budvar beer and it is possible to have a tour of the brewery. There is no better way to taste the local brew than straight from the tap, is there not? Visitors can learn how Budvar beer is brewed and how it’s distinctive taste is created from those who have dedicated their lives to perfecting the art of the beer. 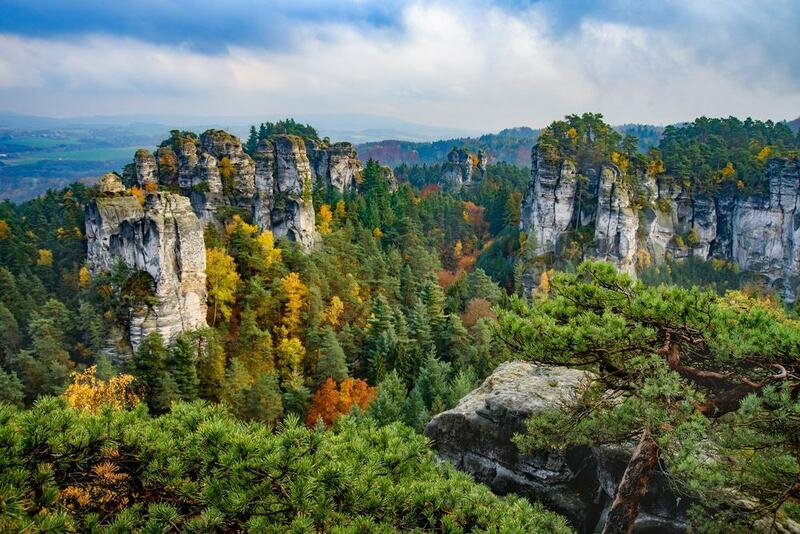 We’ll confirm right now that National Park Bohemian Switzerland is not in Switzerland and is very much within the Czech Republic. A trip to National Park Bohemian Switzerland involved jumping on the train to Decin and a short transfer to the park entrance. During the day you can roam this picturesque national park and learn about the flora and fauna of Bohemia. Hikes start at 1-2 hours and there are routes that take up to 7-hours to complete. 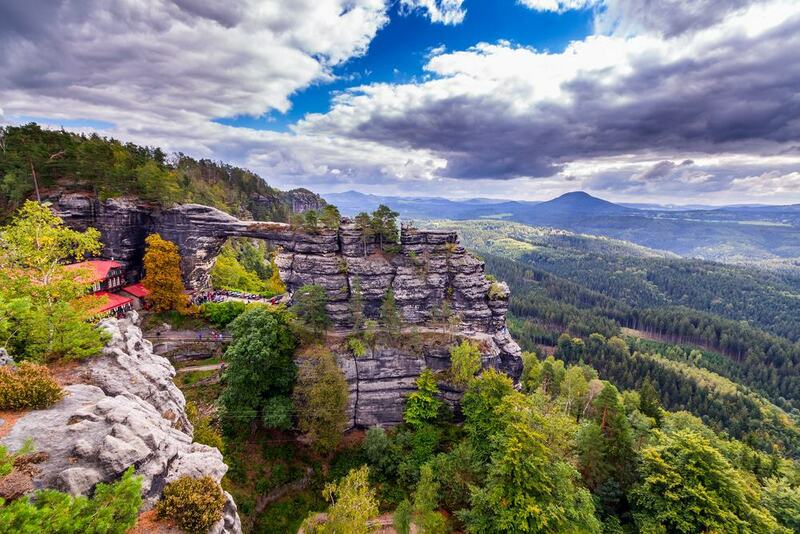 National Park Bohemian Switzerland is growing in popularity so now it the time to visit before everyone finds out about this little gem. Aquapalace is a fun waterpark for all the family. With a complex of waterslides for the kids and a spa for the grown ups there is something to keep everyone entertained on a day trip from Prague. Admittedly Aquapalace is best enjoyed in the summer months as a Czech winter is a force to be reckoned with. 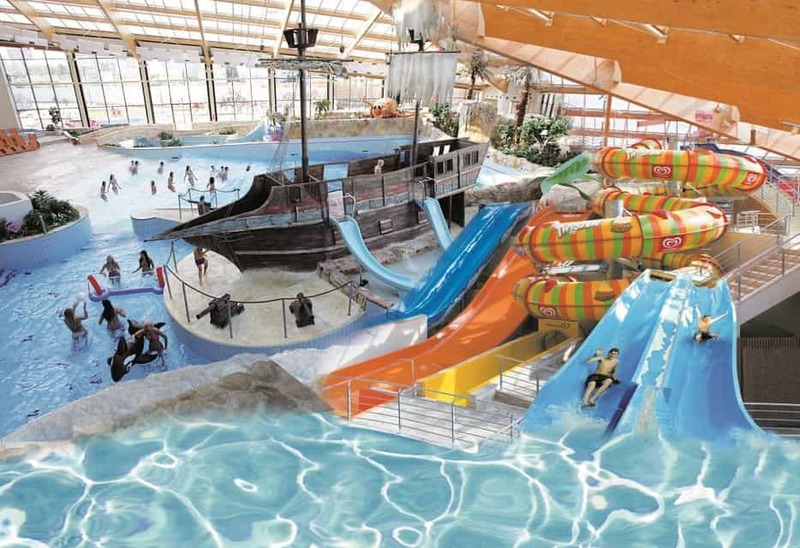 Panic not, there is a vast indoor waterpark complex that is great fun when the grey winter descends. If you need a taste of adrenaline when in Prague Aquapalace is the place to head. 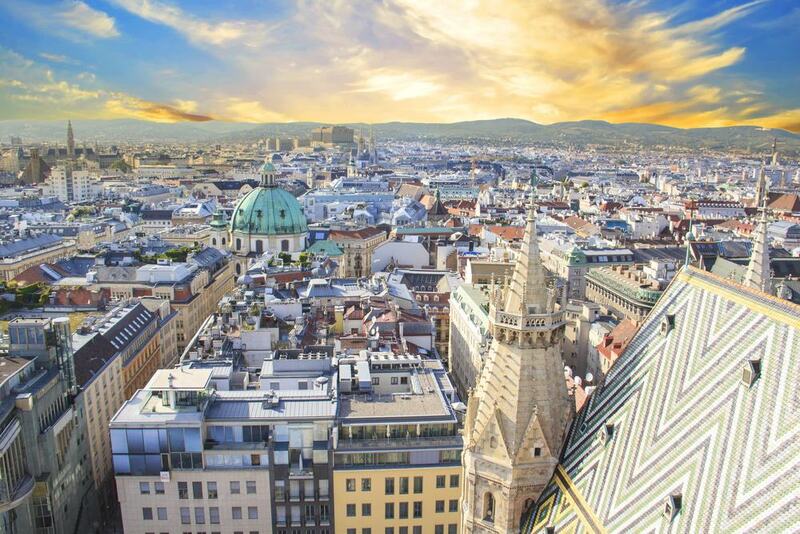 Vienna is the culture capital of Europe and can be easily accessed from Prague by train. The Schönbruun Palace is a breathtaking baroque palace with opulent and historic decor that is simply exquisite. St Stephen’s Cathedral is a spectacle and the highlight of a day trip to Vienna. By no means the cheapest city day trip Vienna is worth every penny. If you’re going to break the bank do it in Vienna. There is a wonderful array of typically Austrian cafes and restaurants that provide a welcome respite from the cultural medley that lies waiting to be explored. Karlštejn Castle is one of the best castles in the Czech Republic and is a truly magical specimen. An incredibly popular tourist hotspot, don’t let the potential crowds put you off. Built way back in 1348 Karlštejn Castle has stood the test of time and was the home of many an influential King. Karlštejn Castle is surrounded by lush, dense forest and there area a number of wonderful hiking routes to explore should the buzzing crowds become too much. Naturally this honeypot is most busy in the summer months. 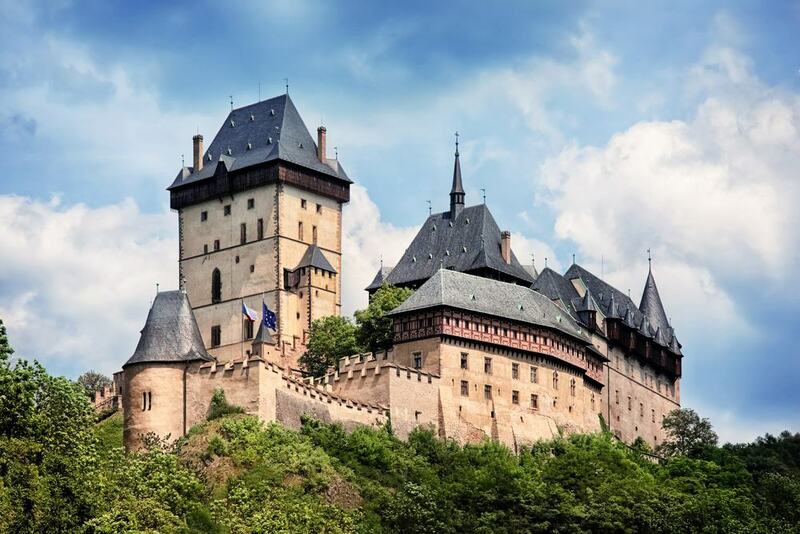 It is possible to reach Karlštejn Castle by train, it’s just 40-minutes away from Prague city centre and so is one of the more easily accessible day trips from Prague. Crossing over the border into Germany, Dresden offers visitors the opportunity to tick off another European country from their bucket list. 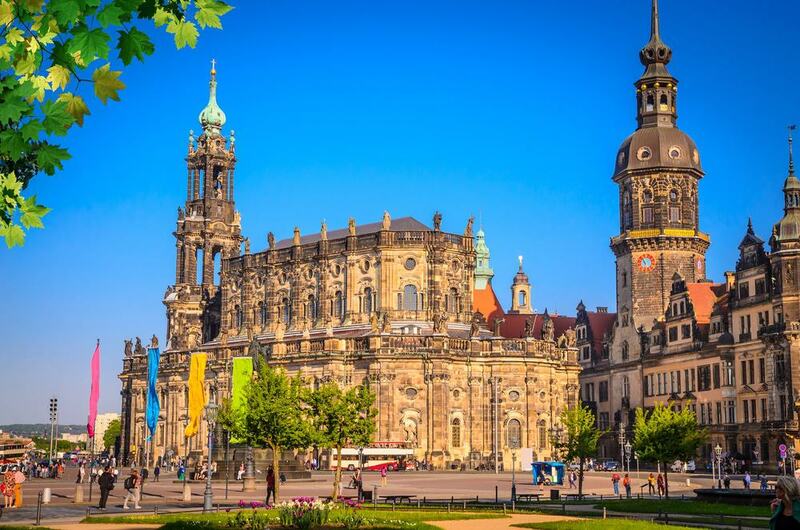 Dresden is best known as the home of the Frauenkirche whose grand dome can be seen for miles around. Rebuilt after near demolition during WWII the Frauenkirche is an architectural gem. Dresden Castle provides close competition, however, for being the most impressive building in the city. The castle was too restored and is now a state art museum. If you’re seeking to explore the Czech Republic’s incredible landscapes and perhaps reconnect with nature then a visit to Český ráj is surely the order of the day. This park land features enchanting rock formations and offers amazing panoramic views of the rugged landscape. You can hike to your heart’s content from dusk until dawn and head back to Prague once the sun has set. Make sure to hike out to the Prachov Rocks, arguably the Czech Republic’s best kept secret. The rock towns of Český ráj are really interesting and are not to be missed either. Český ráj gives you the opportunity to experience authentic Czech culture and rural life. Beer lovers listen up, no visit to the Czech Republic would be complete without visiting Pilsen, the birthplace of Pilsner lager. The drive from Prague to Pilsen is a trip in its own right. Watch as the city falls by the wayside and the road opens up into the picturesque Czech countryside. 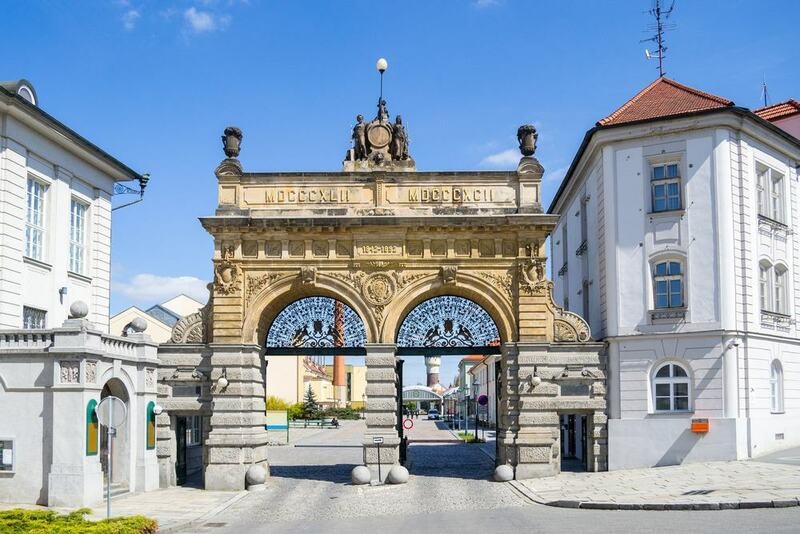 The Pilsner Urquell Brewery is universally considered to be the factory where the best Pilsner in the world is produced and they have been pioneering their field for the last 150 years. It is possible to team a visit to the Pilsner Urquell Brewery with a tour of the Ruckle Crystal factory but perhaps visit Ruckle first then Pilsner Urquell Brewery; their Pilsner is pretty potent. Monínec is the much loved ski resort of the Czech people and is one of the country’s best kept secrets. If you want to get your adrenaline thrill or merely want to feel the snow beneath your boots then a day trip to Monínec is just the ticket. It is possible to hire your ski equipment from the town at the foot of the Monínec ski field for a very reasonable price. There are a number of different runs at Monínec ranging from beginner to pro. There is a run for everyone to enjoy and wonderful apres-ski refreshments waiting for you in the small town of Sedlec-Prčice. The Koněprusy Caves can be found in the Protected Area of Český Kras in Bohemia. 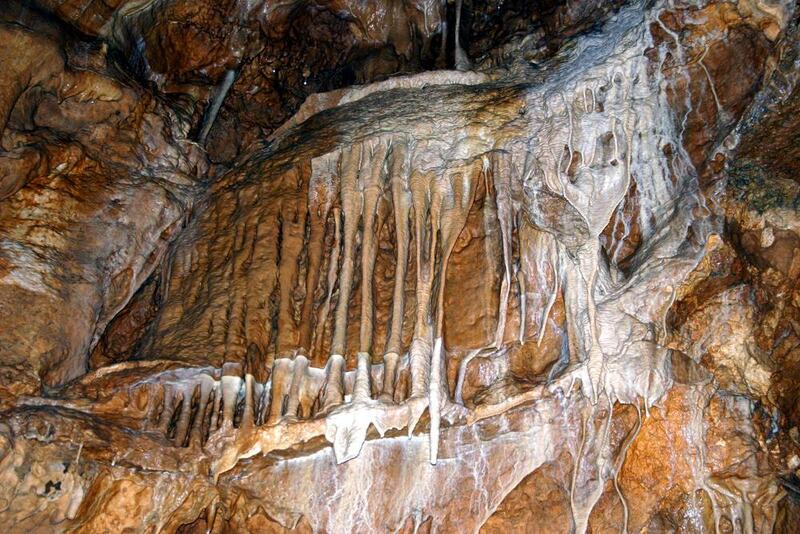 Famed for being the longest cave system in Bohemia the Koněprusy Caves make for a great day trip from Prague. During the visit travellers have the opportunity to inspect the Roses of Koněprusy which is an exhibit featuring the significant archaeological discoveries from the cave complex. The caves are well lit and the walking routes are safe and secure. It is possible to couple a visit to the Koněprusy Caves and Karlstejn Castle if you are short on time or want to diversify your visit to Bohemia. Prague is a transport hub and as such many other European cities are very easily accessed, particularly by train. 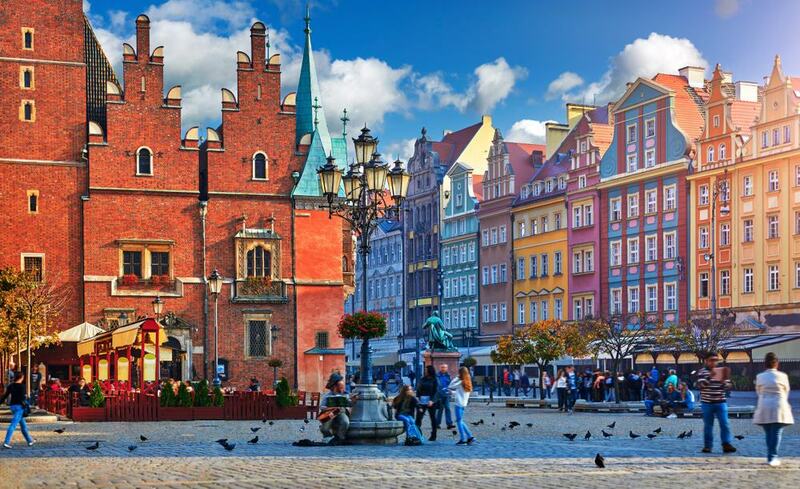 Wroclaw is the largest city in the west of Poland and is home to just 638,000 people. Wrocław Town Hall is one of the gems of the city and is rather photogenic. Now an art museum Wrocław Town Hall is built in typical Gothic style. Just as Prague, Wroclaw too has an astronomical clock that is pretty amazing to see. The Panorama of Racławice is a must-visit for any budding historian. The panoramic painting depicts Poland’s 1794 battle for independence.